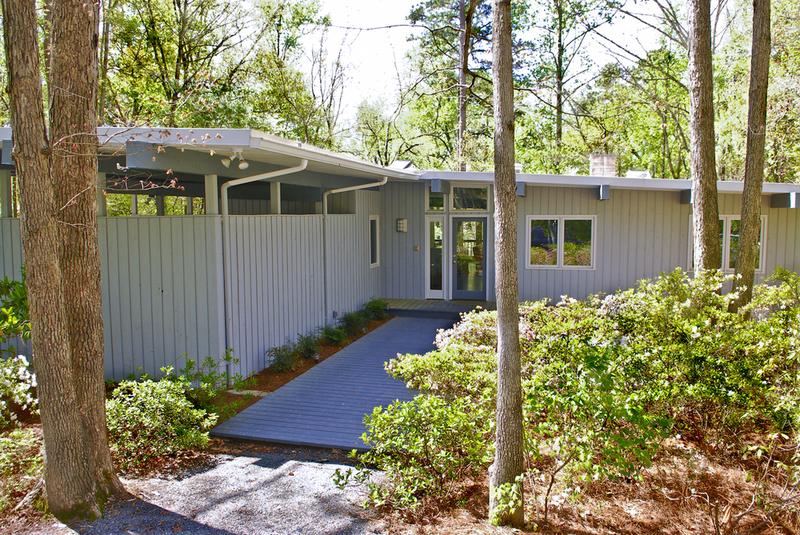 This 1966 deck house had clean lines, lots of room, and great views from floor-to-ceiling windows, but dark cypress paneling and heart pine flooring accentuated the shadows caused by too many walls breaking up the space. Instead of adding a complicated and expensive addition, we reorganized the space, removing unnecessary walls and reallocating the space. 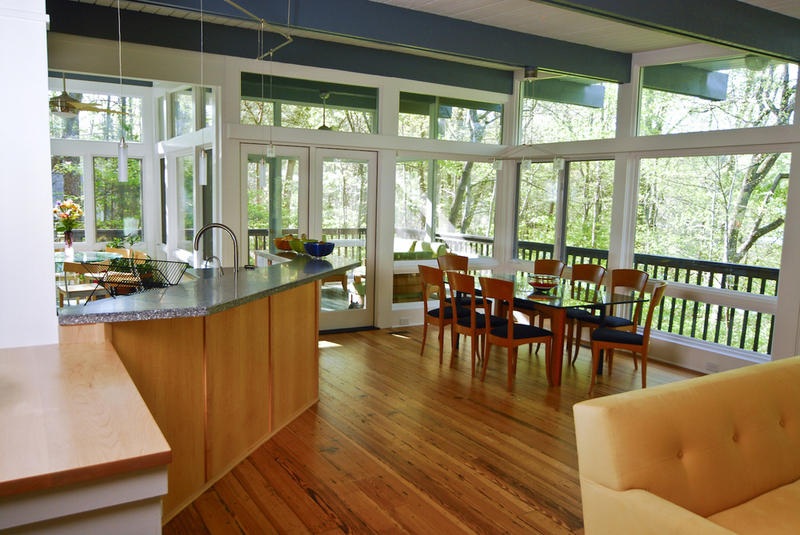 The old greenhouse became a new screen porch, allowing room inside for a bright new breakfast nook. From the carport a small amount of space became part of a new mudroom for storing shoes and restricting dirt and allergens from the home. 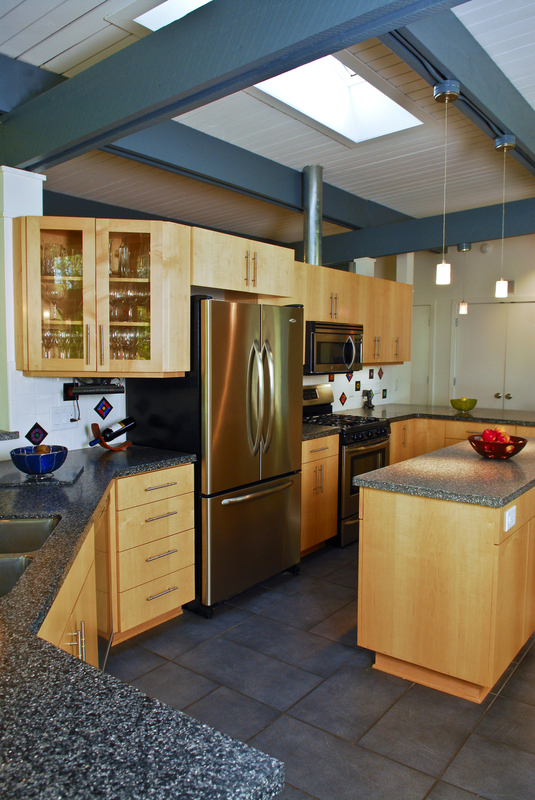 An island improves traffic flow and defines the kitchen area without separating it from the rest of the room. Updated windows offer views and light, as well as increased efficiency. Energy Star appliances, lights, and ceiling fans reduce demand for power. Low VOC paint and water-based polyurethane floor sealant ensure cleaner air. 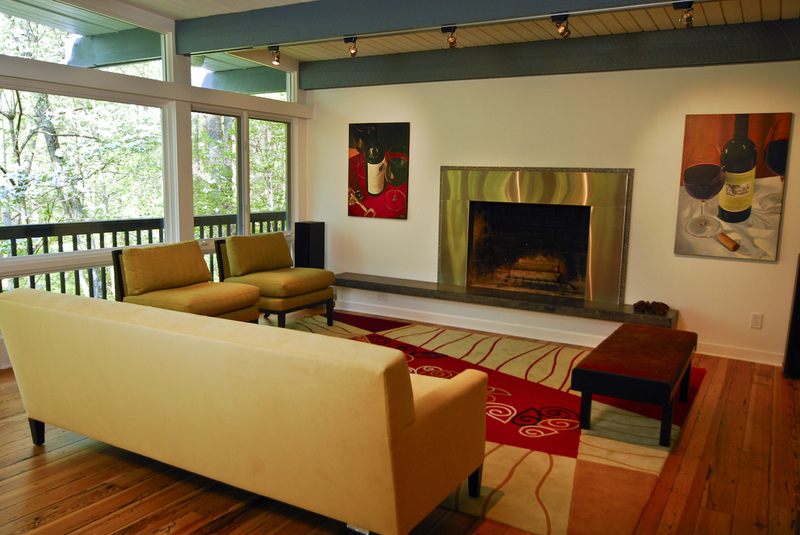 Today this contemporary home has new vitality and comfort for a busy family of five.